Since World War II, clothing styles adopted by young people have been a powerful influence on the development of fashion in North America and Europe. The postwar growth of young people's spending power ensured that the youth market became a crucial sector of the fashion business. The styles adopted by young people, moreover, also became an important influence on wider fashion trends. Indeed, by the 1990s the "youth" market had expanded to embrace not only teenagers, but also consumers in their twenties, thirties, and older. Distinctive fashions for young people were not unique to the twentieth century. During the Victorian era a gradual increase in young workers' leisure time and disposable income laid the basis for an embryonic youth market, with cities in America and Europe seeing the development of mass-produced goods, entertainments, and fashions targeted at the young. Young people also used fashion to mark out individual and collective identities. During the 1890s, for example, many working girls in urban America rejected conservative modes of feminine dress in favor of gaudy colors, fancy accessories, and skirts and dresses cut to accentuate their hips and thighs. Young working men also adopted distinctive styles. In the mid-nineteenth century, for instance, the Bowery area of New York City was home to dandified street toughs known as "B'hoys." According to the socialite Abraham Dayton, "These 'B'hoys' … were the most consummate dandies of the day," and paraded the streets with lavishly greased front locks, broad-brimmed hats, turned-down shirt collars, black frock-coats with skirts below the knee, embroidered shirts, and "a profusion of jewelry as varied and costly as the b'hoy could procure" (Dayton, pp. 217-218). Comparable fashions also appeared in Europe. For instance, in his autobiographical account of life in the British town of Salford, Robert Roberts recalled the gangs of young toughs known as "scuttlers" who, at the turn of the century, sported a trademark style of "union shirt, bell-bottomed trousers, heavy leather belt picked out in fancy designs with a large steel buckle, and thick, iron-shod clogs" (Roberts, p. 155). The 1920s and 1930s saw the youth market expand further. In Britain, despite a general economic downturn, young workers' disposable incomes gradually rose, and they were courted by a growing range of consumer industries. In the United States, the economic boom of the 1920s also ensured a budding youth market, while distinctive styles became increasingly associated with the young. The image of the young, female "flapper" was especially prominent. With her sleek fashions, short bobbed hair, and energetic leisure pursuits, the archetypal flapper featured in many advertising campaigns as the embodiment of chic modernity. Clothing styles geared to young men also became more distinctive. From the 1890s sportswear became popular for casual attire. Shirt styles previously worn for sports replaced more formal garb as a new, leisure-oriented aesthetic surfaced within young men's fashion. Indicative was the appearance of the "Arrow Man," who became a fixture of advertisements for Arrow shirts from 1905 onward. A model of well-groomed and chisel-jawed masculinity, the "Arrow Man" was a youthful and stylish masculine archetype whose virile muscularity guaranteed a fashionability untainted by suspicions of effeminacy. With the expansion of American colleges and universities during the 1920s, an identifiable "collegiate" or "Ivy League" style of dress also took shape. Clothing firms such as Campus Leisure-wear (founded in 1922), together with the movie, magazine, and advertising industries, gave coherence to this smart-but-casual combination of button-down shirts, chino slacks, letter sweaters, cardigans, and loafers. During the 1940s the economic pressures of wartime drew significant numbers of young people into the American workforce. As a consequence, youth enjoyed a greater measure of disposable income, with U.S. youngsters wielding a spending power of around $750 million by 1944. This economic muscle prompted a further expansion of the consumer industries geared to youth. Young women emerged as a particularly important market, and during the 1940s the epithet "bobby-soxer" was coined to denote adolescent girls who sported a new style of sweaters, full skirts, and saddle shoes, and who jitterbugged to the sounds of big-band swing or swooned over show-business stars such as Mickey Rooney and Frank Sinatra. The "teenager" was also a creation of the 1940s. Since the 1600s it had been common to refer to an adolescent as being someone in their "teens," yet it was only during the 1940s that the term "teenager" entered the popular vocabulary. The U.S. advertising and marketing industries were crucial in popularizing the concept. American marketers used the term "teenager" to denote what they saw as a new market of affluent, young consumers associated with leisure-oriented lifestyles. Eugene Gilbert made a particularly notable contribution. Gilbert launched his career as a specialist in youth marketing in 1945, and by 1947 his market research firm, Youth Marketing Co., was flourishing. Gilbert was acknowledged as an authority on the teenage market, and during the 1950s his book, Advertising and Marketing to Young People (1957), became a manual for teen merchandising. The success of Seventeen magazine also testified to the growth of the American "teen" market. Conceived as a magazine for college girls, Seventeen was launched in 1944. By 1949 its monthly circulation had reached two and a half million, the magazine's features and advertising helping to disseminate "teenage" tastes throughout America. During the 1950s the scope and scale of the U.S. youth market grew further. This was partly a consequence of demographic trends. A wartime increase in births and a postwar "baby boom" saw the American teen population grow from 10 million to 15 million during the 1950s, eventually hitting a peak of 20 million by 1970. A postwar expansion of education, meanwhile, further accentuated notions of youth as a distinct social group, with the proportion of American teenagers attending high school rising from 60 percent in the 1930s, to virtually 100 percent during the 1960s. The vital stimulus behind the growth of the youth market, however, was economic. Peacetime saw a decline in full-time youth employment, but a rise in youth spending was sustained by a combination of part-time work and parental allowances, some estimates suggesting that teenage Americans' average weekly income rose from just over $2 in 1944 to around $10 by 1958 (Macdonald, p. 60). During the 1950s, teen spending was concentrated in America's affluent, white suburbs. In contrast, embedded racism and economic inequality ensured that African American and working-class youngsters were relatively marginal to the commercial youth market. Nevertheless, African American, Mexican American, and working-class youths generated their own styles that were a crucial influence on the wider universe of youth culture. During the 1930s, for example, young African Americans developed the zoot suit style of broad, draped jackets and pegged trousers that gradually filtered into mainstream fashion. During the 1950s, meanwhile, African American rhythm and blues records began to pick up a young, white audience. Reconfigured as "rock 'n' roll" by major record companies, the music was pitched to a mainstream market and became the soundtrack to 1950s youth culture. The 1950s also saw work wear incorporated within youth style. Denim jeans, especially, became a stock item of teen fashion. During the 1860s Levi Strauss had patented the idea of putting rivets on the stress points of workmen's waist-high overalls commonly known as "jeans." By the 1940s jeans were considered leisure wear, but during the 1950s their specific association with youth culture was cemented after they were worn by young film stars such as James Dean and Marlon Brando, and by pop stars such as Elvis Presley. Levi Strauss remained a leading jeans manufacturer, but firms such as Lee Cooper and Wrangler also became famous for their own distinctive styles. The growth of the mass media was a crucial factor in the dissemination of teenage fashion. The proliferation of teen magazines, films, and TV music shows such as American Bandstand (syndicated on the ABC network from 1957), ensured that shifts in teen styles spread quickly throughout the United States. The global circulation of U.S. media also allowed the fashions of teenage America to spread worldwide. In Britain, for example, the zoot suit was adopted by London youths during the 1940s, the style subsequently evolving into the long, "draped" jackets that were the badge of 1950s toughs known as "Teddy boys." Behind the "iron curtain," too, youngsters were influenced by American fashion. In the Soviet Union, for example, the 1950s saw a style known as "stil" develop as a Russian interpretation of American teenage fashion. As in the U.S., demographic shifts underpinned the growth of the European teen market. In Britain, for example, a postwar baby boom saw the number of people aged under twenty grow from three million in 1951 to over four million by 1966. An expansion of education also reinforced notions of young people as a discreet social group. As in America, economic trends were also vital. In Britain, for instance, buoyant levels of youth employment enhanced youth's disposable income, and market researchers such as Mark Abrams identified the rise of "distinctive teenage spending for distinctive teenage ends in a distinctive teenage world" (Abrams, p. 10). The teen market that emerged in postwar Britain, however, was more working-class in character than its American equivalent. In Britain increases in youth spending were concentrated among young workers, and Abrams estimated that "not far short of 90 percent of all teenage spending" was "conditioned by working class taste and values" (Abrams, p. 13). 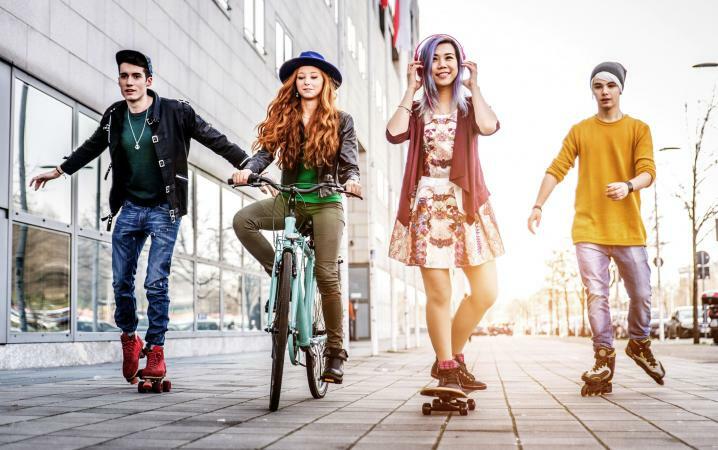 European youth style fed back into the development of U.S. youth culture. During the mid-1960s, for example, America was captivated by a British pop music "invasion" spearheaded by the Beatles and the Rolling Stones. American women's fashion, meanwhile, was transformed by British exports such as the miniskirt and Mary Quant's chic modernist designs. British menswear was also influential. Surveying the fashion scene in "Swinging London," for example, Time magazine was impressed by "the new, way-out fashion in young men's clothes" (Time, 15 April 1966). In autumn 1966 a flurry of media excitement also surrounded the arrival in America of British "Mod" style-a fusion of fitted shirts, sharply cut jackets, and tapered trousers, which was itself inspired by the smoothly tailored lines of Italian fashion. 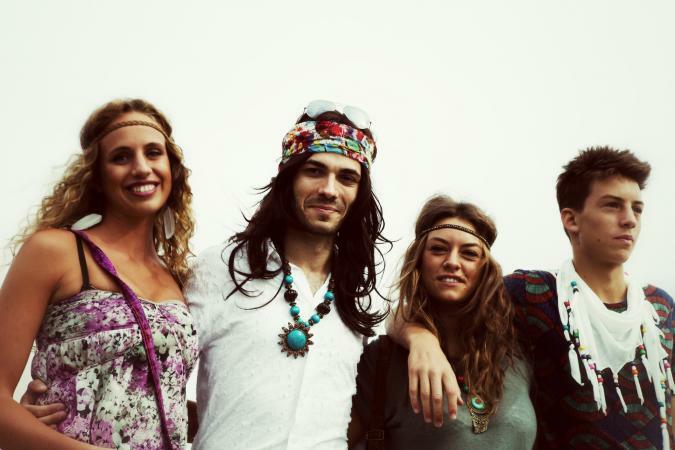 The counterculture of the late 1960s and early 1970s had a major impact on international youth style. A loose coalition of young bohemians, students, and political radicals, the counterculture shared an interest in self-exploration, creativity, and alternative lifestyles. The counterculture's spiritual home was the Haight-Ashbury neighborhood of San Francisco, but films, magazines, and television, together with the success of rock bands such as Jefferson Airplane and the Grateful Dead, disseminated counter-cultural styles throughout the world. The nonconformity and exoticism of the counterculture leaked into mainstream youth style, and hip boutiques abounded with countercultural influences in the form of ethnic designs, psychedelic patterns, faded denim, and tie-dye. The 1960s and 1970s also saw African American youngsters become a more prominent consumer group. A combination of civil rights activism and greater employment opportunities improved living standards for many African Americans and, as a consequence, black teenagers gradually emerged as a significant market. This was reflected in the soul music boom of the 1960s and the success of record labels such as Berry Gordy's Tamala-Motown empire. Soul also picked up a significant white audience, and the influence of African-American style on the wider universe of youth culture continued throughout the 1970s-first with the funk sounds pioneered by James Brown and George Clinton, and then with the eruption of the vibrant disco scene. The late 1970s also saw the emergence of rap music and hip-hop culture (which combined graffiti, dance, and fashion). Hip-hop first took shape in New York's South Bronx, where performers such as Afrika Bambaataa and Grandmaster Flash combined pulsating soundscapes with deft wordplay. Hip-hop style was characterized by a passion for brand-name sportswear-trainers, tracksuits, and accessories produced by firms such as Adidas, Reebok, and Nike. Rap trio Run-DMC even paid homage to their favorite sports brand in their anthem "My Adidas." During the 1990s rap impresarios even launched their own hip-hop fashion labels. For example, in 1992 Russell Simmons (head of the Def Jam corporation) launched the Phat Farm sportswear range, while in 1998 Sean "Puffy" Combs (head of Bad Boy Records) launched the Sean John clothing line. During the 1980s and 1990s, a rise in youth unemployment, coupled with the declining size of the Western youth population, threatened to undermine the growth of teen spending. By the beginning of the twenty-first century, however, demographic shifts and economic trends indicated that youth would continue to be a lucrative commercial market. Despite a long-term decline in Western birth rates, the youth population was set to increase during the new millennium as the "echo" of the "baby boom" worked its way through the demographic profiles of America and Europe. On both sides of the Atlantic, moreover, market research indicated that teenagers' spending power was still growing. Teenage fashions also increasingly appealed to other age groups. For example, manufacturers, retailers, and advertisers increasingly targeted teenage fashions at preteens (especially girls), who were encouraged to buy products ostensibly geared to older consumers. Teenage fashions also crept up the age scale. By the end of the 1990s, many consumers aged from their twenties to their forties and above were favoring tastes and lifestyles associated with youth culture. "Teenage fashion" therefore, was no longer the preserve of teenagers, but had won a much broader cultural appeal. See also Street Style; Subcultures. Abrams, Mark. The Teenage Consumer. London: Press Exchange, 1959. Austin, Joe, and Michael Willard, eds. 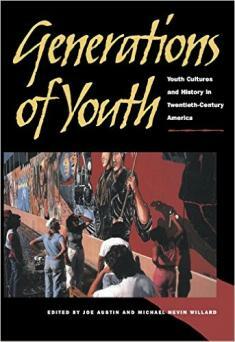 Generations of Youth: Youth Cultures and History in Twentieth-Century America. New York: New York University Press, 1998. Dayton, Abraham. The Last Days of Knickerbocker Life in New York. New York: G. P. Putnam's Sons, 1897. Fass, Paula. The Damned and the Beautiful: American Youth in the 1920s. Oxford: Oxford University Press, 1978. Fowler, David. The First Teenagers: The Lifestyle of Young Wage-Earners in Interwar Britain. London: Woburn, 1995. Gilbert, Eugene. Advertising and Marketing to Young People. New York: Printer's Ink, 1957. Hollander, Stanley C., and Richard Germain. Was There a Pepsi Generation Before Pepsi Discovered It? Youth-Based Segmentation in Marketing. Chicago: American Marketing Association, 1993. Macdonald, Dwight. "A Caste, a Culture, a Market." New Yorker (22 November 1958). Osgerby, Bill. Youth in Britain Since 1945. Oxford: Blackwell, 1998. Palladino, Grace. Teenagers: An American History. New York: Basic Books, 1996. Pilkington, Hilary. Russia's Youth and Its Culture: A Nation's Constructors and Constructed. London: Routledge, 1994. Roberts, Robert. The Classic Slum: Salford Life in the First Quarter Century. Harmondsworth: Pelican, 1973. Rollin, Lucy. Twentieth Century Teen Culture by the Decades: A Reference Guide. Westport, Conn.: Greenwood Press, 1999.